You need money to fund your startup? You need money to grow it? You just need money in general? A tiny percentage of startups make it for one simple reason: when you’re building a startup, you’re looking for a business model. You’re not even sure if the business model will resonate with your target users/buyers and this adds an extra layer of uncertainty to the whole business building process. In the other hand, when you’re starting a small business or a side hustle, you know the business model has existed for decades and centuries. You’re not looking to validate the concept, all what you are looking for is to find clients and get them results. Take the example of Uber. The founders took years to validate the ride sharing concept and even today, this model works in some places and not in others. But you know what’s likely to be accepted by any city or culture? Taxis. If you’re starting a transportation service that’ll take people from point A to B through cars (Taxis) or busses, you know with almost absolute certainty that someone will need you to take them somewhere sooner or later. Truth be told, it’s not easy to transition from employed or student to startup founder. There’s too much uncertainty and risk. What will help you make the transition is getting comfortable with business development by starting with a project or side hustle. Many hundred million and billion dollar startups began this way. Mailchimp, Basecamp, Kissmetrics, MOZ, even Bill Gates and Elon Musk started their entrepreneurial journeys by selling services like software on the side. 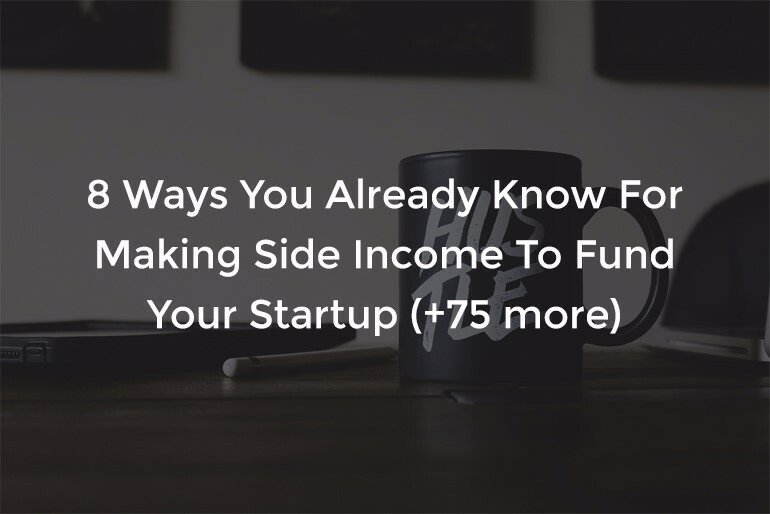 Right now, I am going to share 8 common ways to make side income to fund your startup, use it as a side hustle or make it your new full-time job. Everyone of the services I outline below doesn’t require any level of expertise to start. In fact, for every service, you will find a reference (book and/or course) that you can use to develop the skills you need to perform the job. And remember, no matter your level of experience, there is always a client who’d benefit from your time. First and foremost, the absolute best way to get the most out of your limited time is to subscribe to Audible and listen to books on the go. This has made a tangible impact on me personally. Multiply 15-20 minutes in listening time per day by 26 and you have close to 9 hours of education on the go every month. Try it for free for a month and if you decide to continue, I think it will be one of the best $15/month investment you could make to access over a million book on the go. A local business that needs help to create an online identity. A small team that needs help in creating a marketing plan for expansion. A person/team that needs another perspective to evaluate their designs and packaging. A person/team that needs help outsourcing, manufacturing, recruiting, running online ads, traveling, investing, etc. There’s room for consulting jobs in countless fields and it doesn’t require years of experience or, in most cases, certification. Pick your field of interest. Educate yourself and do your homework. Reach out, volunteer and sell. It’s hard to suggest a book or course here because what may apply to you may be irrelevant for others. So, head over to CreativeLive, Skillshare and Udemy. Browse relevant courses that fit your field and can help you develop your skill then start your outreach. 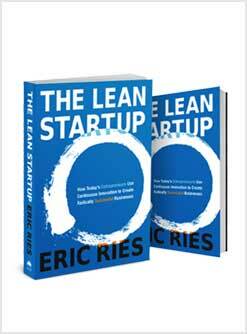 The Lean Startup: How Today’s Entrepreneurs Use Continuous Innovation Create to Radically Successful Businesses, by Eric Ries. 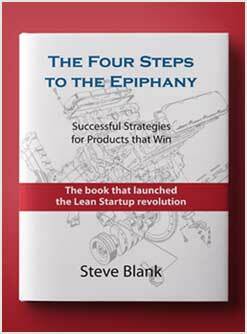 The Four Steps to the Epiphany, by Steve Blank. 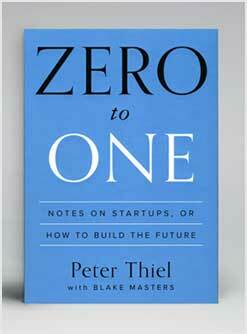 Zero to One: Notes on Startups, or How to Build the Future, by Peter Thiel and Blake Masters. I also recommend Michael Port’s course on Creative Live to develop the consulting mindset: Book Yourself Solid & Get More Clients. Before we go any further, understanding the power of simulation and non-scalability is a must especially if your idea is to create a software product for consumers (not enterprises). Did you know that you could almost literally start any software startup in one single day? Let me give you 10 examples. If you’re building database software, start by selling cleaned data sheets by accepting data requests through email then cleaning the data by yourself and email it to the client. If you’re building an Uber like application, start by accepting ride requests over the phone, go drive them yourself and grow by hiring drivers as if you are running a Taxi company. Another approach you can take is to recruit drivers, invite them to a private Facebook group and do the same with riders by requesting that they fill out some information to join the group and when they’re in, they can post ride requests under conditions that you can impose in the group. If you are building a food on demand application, start by accepting orders over the phone, go deliver yourself and grow by hiring drivers as if you are running a Taxi company. If you are building a social media management tool, start by selling social media management services. If you are building a drag and drop web development tool, start by building clients’ websites. If you are building a social network application, start by gathering people in social events. If you are building a listing application like Craigslist, create a Facebook group for it and start charging for listings when you build some credibility. There are many companies that started this way and remained on Facebook as a result of the brand and engagement they built there. In the same way, if you are building a review site, start with Facebook. With some credibility, you can charge companies for getting listed and getting reviewed. Like Yelp. If you are building a booking application, you can start with Facebook or Slack too whereby as a moderator, your job is to make sure the two parties (guest/host or tenants/owners, etc.) are matched. If you are starting a FinTech application like a trading app or payment processing, start by serving clients yourself and with the help of existing solutions. For instance, many financial planners invest clients’ money in funds managed by companies like Betterment and Wealthfront. And if you cannot directly create a non-scalable version of your upcoming product say if you’re building an API, then serve your potential users by solving relevant problems. For instance, if you’re building an application that will enable website owners to analyze visitors’ behavior and predict their likelihood to purchase a product, start by doing the analysis yourself with the help of existing analytics solutions and send reports by email. 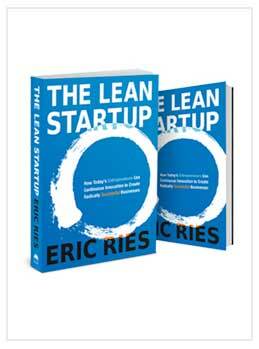 That’s the approach that you will learn in Eric Ries’s book: The Lean Startup: How Today’s Entrepreneurs Use Continuous Innovation Create to Radically Successful Businesses. 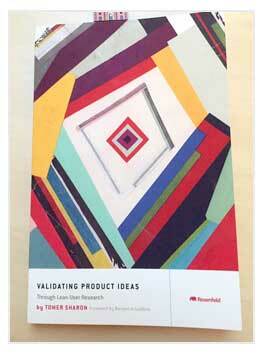 Another book filled with examples is: Validating Product Ideas: Through Lean User Research, by Tom Sharon. If you can consult, chances are you can teach/coach and vice versa. Once again, this doesn’t require a million dollar portfolio and years of experience and education. My recommendations are to use teaching as an extra way to make side income BESDISES your side hustle. Here’s why. No matter what you do: consult, design, program, write, etc. you can always teach others to do the same. In other words, say the side hustle that you’re passionate about is graphic design, well, some other people want to also have graphic design as a side hustle and would greatly benefit from your guidance. Skillshare, CreativeLive and Udemy are three platforms that would gladly accept and distribute your course(s) to millions, however, you can also 1) create a course through your own website and use teaching platforms like Teachable (they also show you how to create a profitable course), and/or 2) sell select clients coaching and guidance services to help them achieve their specific goals. There’s an excellent book written by Michael Stanier about coaching and mentoring that I highly recommend you check out. Afraid or don’t feel prepared to teach or coach yet? Start small. The first time I taught was at school on weekends where I gathered 10 aspiring entrepreneurs to discuss execution, validation and monetization. Small initiatives like this help you gain confidence even if you’re addressing people you know. A collegiate degree helps but it’s definitely not required to master the skill and pursue design as a side hustle, full-time job or even career. Read: Graphic Design School: The Principles and Practice of Graphic Design, by David Dabner, Sandra Stewart and Abbie Vickress. And enroll in: Graphic Design Fundamentals: Getting Started, by Timothy Samara. When you’re done with these, I suggest you head over to Treehouse for access to an instructor and to get your one on one guidance to help you take your skills to another level. If you’re building a technology based startup, the best skill to master is programming because with it, you can accomplish two things in one: earn income to fund your venture and build the product with your bare hands; control your own destiny. With all the available online and offline resources out there, it has never been easier to become a web or mobile developer. Most programs and courses will give you the foundation in as little as a month. One of my highly recommended sources is One Month. Columbia professor Mattan Griffel and General Assembly teacher Chris Castiglione have created highly engaging courses/programs that will give you more than you need to acquire a programming skill within one month. And if you’ve already created a Treehouse account, checkout their programming courses and tools. There, you also have what you need to take your programming skills to another level. Build an audience and fans that can later potentially become your product users/buyers. Build relationships with experts in the field. This is when you cite or interview them and then mention or write about them in your posts. Sonner or later, they’re much more likely to return the favor. And finally, get hired to write for others and get paid for it. Whichever one of the side income ideas you pick, I highly recommend that you invest an hour or two each day in content marketing. If the main goal from side hustling is to fund your startup, building and nurturing an audience over content is the way to go. Many multi-million dollar startups started this way like Neil Patel did with all of his companies. Furthermore, I found that it’s much easier to get content gigs if you have your own blog and proof that you can do a great job. The good news here is that the 2 in 1 outcome I mentioned above is forced. In other words, when you focus on writing quality content to achieve the first three goals above, you will automatically achieve the fourth (get hired). If you don’t have a blog already, you don’t need one. You can start on Medium. To build an audience, community and for more flexibility, I highly recommend that you create your own site/blog. WordPress is the way to go. In fact, it powers about 60% of all blogs in the world and approximately 29.3% of all websites. If you can’t create your own customized WordPress blog yet, the fastest way to start is by purchasing a pre-built theme from Themeforest or Elegant Themes. With the theme you choose, get help setting it up for a few dollars through Fiverr. If you don’t have a domain, you can get one for free as part of your hosting plan with Bluehost. At this point, you don’t need much. A Plus or Prime shared hosting is good enough to start with. Your first opportunity to minimize your future expenses is here. Make sure you select 36 months hosting so you can take advantage of the discounts. 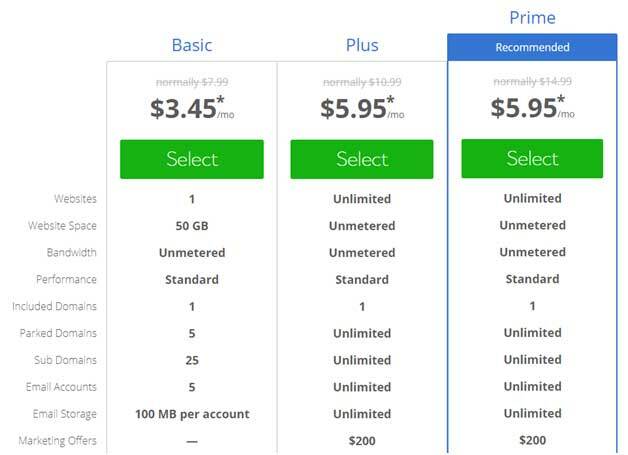 Here’s my recent Bluehost bill for 3 years for a Dedicated Hosting plan. Over three years, a $2,900 payment will save me over a thousand dollars. If you want to create your own blog, enroll in One Month’s WordPress course and use the blog/personal site as a practice to implement what you learn. That would be a smart way to achieve two things in one while avoiding the cost of buying the theme or hiring a programmer. Once you have your blog up and running, what you need is proof. Before you pitch anyone your services, create a few pieces that you can use when reaching out potential clients. As an employer of content writers myself, one of the things I look at besides the quality of candidates’ posts and writing skills is the impact of their articles. Have their posts created any engagement (shares and comments)? Engagement indicators usually tell everything. If you’re aiming for well paying jobs, you need the proof. 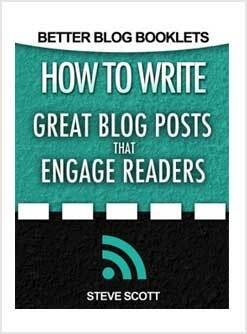 How to write great blog posts that engage readers, by Steve Scott. 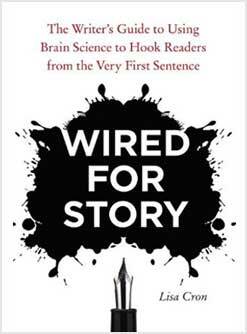 Wired for Story: The Writer’s Guide to Using Brain Science To Hook Readers from the Very First Sentence, by Lisa Cron. One of the two biggest advantages of “6.” is building authority and relationships in the marketplace. Those relationships are a gold mine. Good PR agencies can get you and your company featured or mentioned in media outlets thanks to the credibility and relationships they have built over the years. By growing your network through content and outreach, you are essentially mimicking PR firms’ business building process. Last year only, I got pitched by multiple PR firms to get me featured in 2 media outlets for $8,000! Don’t underestimate the power of your connections. If you want to learn more about how you can leverage your network and use effective outreach strategies to grow your business, read: Growth Hacker Marketing: A Primer on the Future of PR, Marketing, and Advertising, by Ryan Holiday. If social media marketing was just about sharing, liking and engaging, we would be living in a world where most people are millionaires. But it’s not! From positioning to targeting, psychology, advertising, influencer marketing, running campaigns, launching giveaways, partnerships, data analysis, budgeting, A/B testing, familiarity with platform rules and more areas fall under the responsibilities of a social media manager. If this is something you are passionate for, the good news is that many people are looking for your skills. 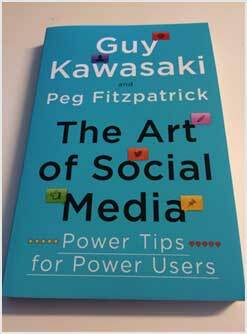 The Art of Social Media, by Guy Kawasaki and Peg Fitzpatrick. 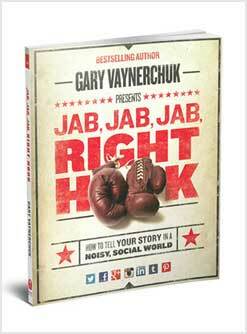 Jab, Jab, Jab, Right Hook: How to Tell Your Story in a Noisy Social World, by Gary Vaynerchuck. Logically and from experience, the best way to fund your startup is by following “2. Simulating.” This is when you accomplish two goals in one by not only making tangible progress on your venture but also getting funded by your customers. If that’s not as feasible such as in the case you are building an enterprise solution and client expectations are nothing lower than perfection, the other 7 ways will still enable you to interact with your potential buyers in one way or another. If the goal was just earning a side income or pursing a different career, focusing on what interests you is the way to go. But if you’re consulting, writing or designing as a mean to launching your own venture, consider doing what will get you closer to your potential buyers. In the downloadable file, you will find an Infographic with over 75 ways to earn side income either for reinvestment or just to supplement your current income or add another stream. Which one of the 8 are you currently focused on or planning to pursue? Do you other ideas? Write me a comment below now. I’m working on creating courses and webinars for teachers.